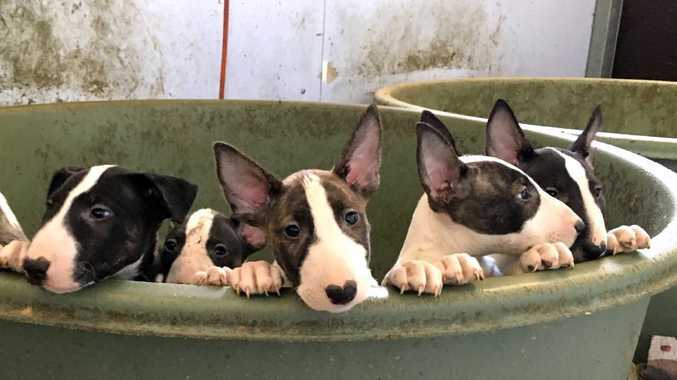 THE RSPCA have hit back at an online post spreading what it says are "rumours" about the seizure of more than 100 English bull terriers from a puppy farm nearby Gladstone. Last month, 110 puppies were rescued from the farm after being found alongside breeding dogs in a "deplorable" state, according to the RSPCA. The pups were purebred for sale and eight dogs were microchipped and belonged to other owners. 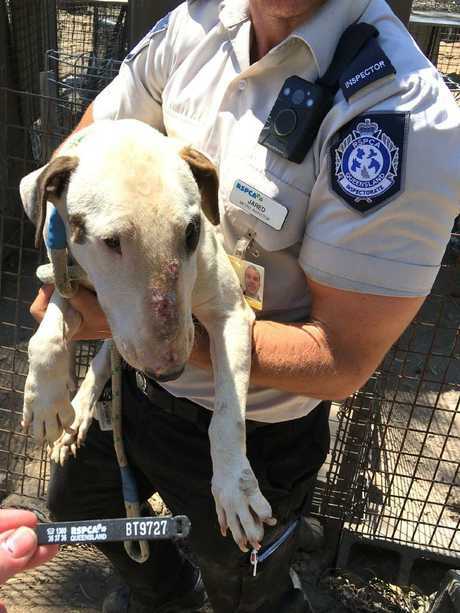 As the dogs recover at RSPCA shelters in Bundaberg, Rockhampton and Wacol, thousands of people have shared posts on Facebook, claiming the whole story had not been told by the animal-protection agency. One post, shared more than 2000 times, claimed the some of the 110 animals were "rescue dogs awaiting new homes and some were other people's dogs who had been left with the property owner to keep them safe from the fires in the area". The post claimed the owner of the puppy farm contacted the RSPCA for assistance in evacuating the dogs from oncoming fire. 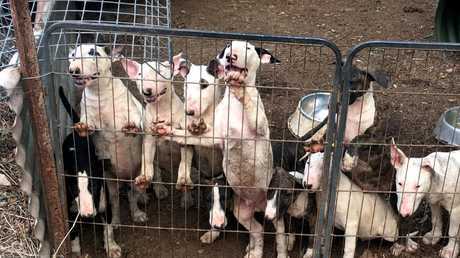 It said the dogs had been placed in crates for evacuation, a claim the RSPCA later dismissed. "The RSPCA said they wouldn't help unless she surrendered … so she was placed in a drastic situation and agreed to surrender them," the post claimed. "… My heart really goes out to the owner of the dogs, l hope she gets help and does not have a complete breakdown over what they did to her beloved dogs…"
The RSPCA have now hit back at the "rumour mill" posting a detailed response on their website, answering questions over the online criticism of the seizure. "Sadly, for all its benefits, social media also has many pitfalls," they wrote. "Perhaps the most dangerous of these is that it gives a voice to people who do not know the facts". The post claimed the dogs were not kept in a location at risk of fire and poured cold water on allegations the owner was locked in her house during the raid. "This is perhaps the most absurd piece of information doing the rounds. No, the dog owner was not locked in her house. Apart from how incredibly illegal this would be, it would not have been possible," the post read. 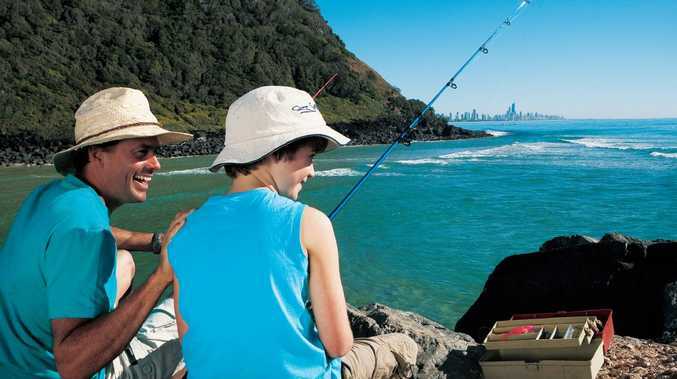 In a final note under a separate heading "the damage of words" the RSPCA detailed harm the social media campaign was doing to the organisation. "What really hurts is knowing these words are having an impact, but that impact is only on the animals we are so desperate to help," the RSPCA said. "Every dollar, every volunteer hour and every limited resource spent on these words is time taken away from animals in care and in need. "Sometimes the people we meet do unspeakable things to animals. But others, people who are supposed to be on the side of animals, hurt them by sharing and promoting these remarks. "We know, beyond all else, that the work we do is valuable, and the animals we do it for are worth every cent, every minute, every heartache and every sleepless night."